For years, car companies could either make cars cleaner by downsizing their engines with laggy turbochargers, or they could give them weak-chested hybrid setups. 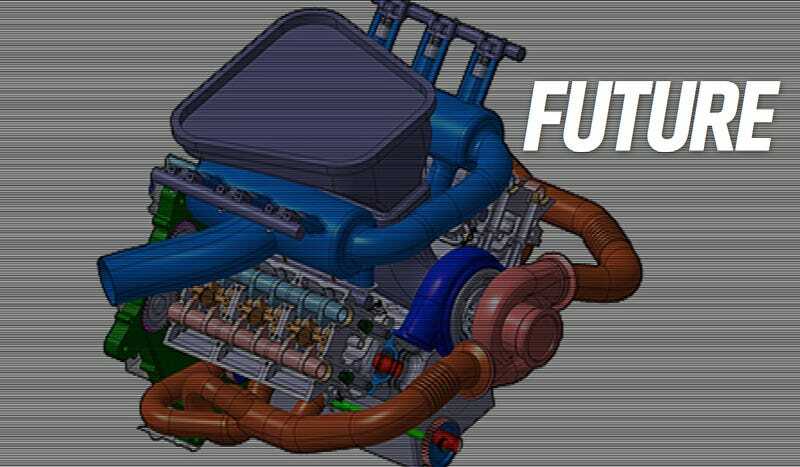 New technology combines the two into hybrid turbos, and it's being tested in next year's F1 cars. Turbochargers have a problem — when you just get on the gas, they don't give you enough power, and when you get off the gas, they give you too much power. Hybrid turbos harvest the wasted overboost from a turbo, charging up for later. When you get on the gas from a standstill, the electric motor gives you its stored up power. Below, UKPDXWRX gives a much more in-depth explanation of these no-lag turbos bound for F1 next year, and why you should be excited to see them in road cars in the future. You don&apos;t like hybrids you say. You miss the sound of the V10s you tell me.